Tui is a brand of beer brewed in New Zealand, named after a bird native to the area. 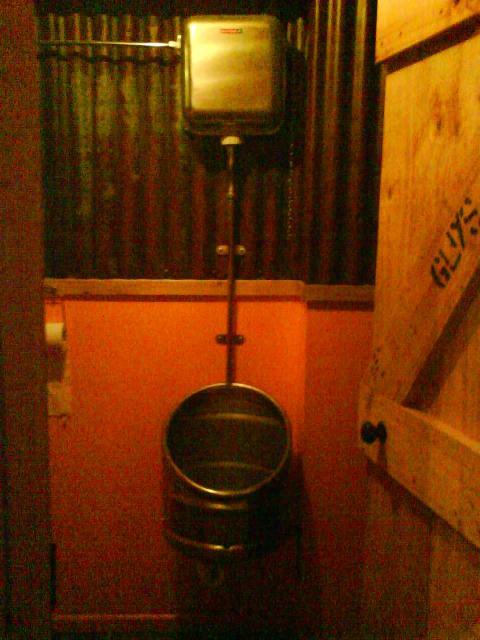 This fixture is located at the DB Brewery in Mangatinoka, New Zealand, which brews Tui. This picture was submitted by CW. She writes: "This is in the [DB Brewery], Mangatinoka, New Zealand. 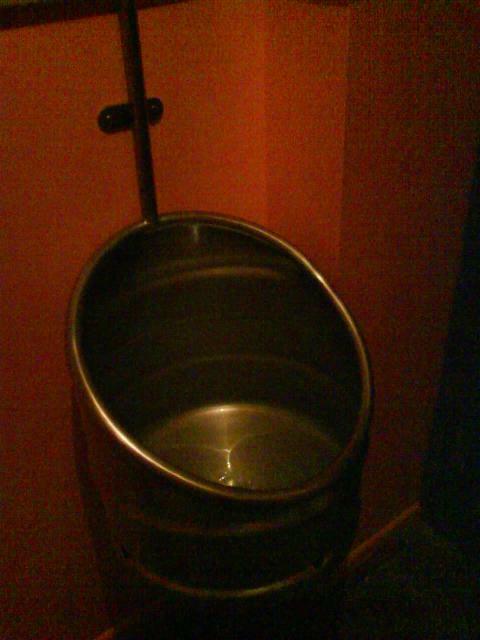 The Urinals and hand basins are both made out of half or quarter of a beer keg. Quite unique and appropriate my boyfriend and I thought!"